A&E’s Longmire visits the Retro Future… tonight! In an unlikely crossover, A&E’s Longmire is apparently coming to Retropolis. Tonight. He’s getting aspirin there, or something. Awhile back I got an email from the production company behind the show. I hadn’t ever seen it at that time. They wanted a release to use two of my posters in what was called the "Pharmacy" set in Season 2, Episode 5; and unless they’ve changed the order of the episodes, that’s tonight. Once I’d sent back the release I streamed the show, and I like it. It’s a modern day Western detective series set in Wyoming. What they’re going to do with the rockets out there… I have no idea. And of course the prints are just set dressing, meaning that they’ll be somewhere on the set, but there’s no guarantee that the camera will spend any time near them. So, you know, don’t be upset if you examine every inch of the pharmacy and still can’t find them. The other print they’re using is the old version of my The Future: it’s Not What it Used to Be. Once I’d lived with that one for awhile I decided to change it; so you can’t even get that version any more… unless I forgot it someplace! Updated: Hey! I think I got it wrong, didn’t I? It must have aired last week, and it’ll be showing up on hulu tomorrow. 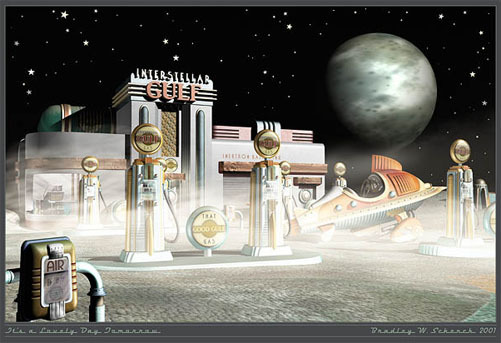 Back in my years in game development ("the lost years") there were so many features added to games while they were in production that I couldn’t even begin to count the number of times it happened. It’s so prevalent that we even had a name for it: "feature creep". Creepy features most often came from the game’s publisher, or from the enthusiastic producer appointed by the publisher; but, really, creepy features sometimes creep out from inside the team. Usually from some member of the team who doesn’t have to make those creepy features happen. The words easy or simple often appear at about the same time. Now and then, though, creeping features creep out from within. And that’s what happened to me today. Around midday I had checked off my list all but three of my WordPress plugin’s essential features. It was a great feeling. Once those three were done, the plugin would be ready for people other than me to use: actual real world testing! 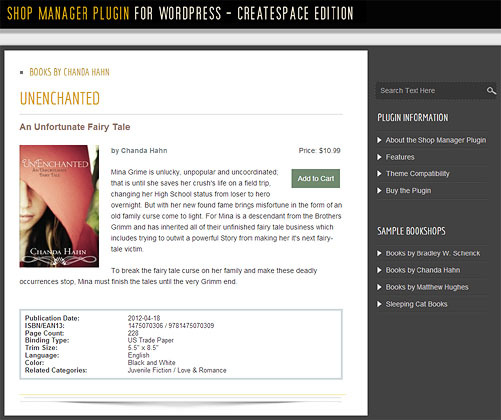 I’d already started to look for self-published authors with WordPress blogs who might like to test the plugin and build their own bookshops inside their web sites. Like I said: great feeling. Because at about that same time I realized that I’d left something out. It wasn’t part of the original plan – it’s not like I decided not to do it. I just hadn’t considered it from the beginning. And it was something that people would probably want. Something that they might really want. I went out to mow the lawn, and I just couldn’t get my creepy feature off my mind. This probably didn’t do much for my lawn mowing prowess which – between you, me and the neighbors – is probably not my strong suit, anyway. 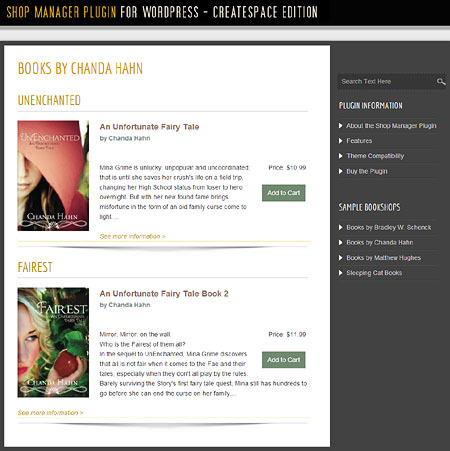 And really, taking the long view, my creepy feature won’t be very difficult – it’s similar to something I built for the Archonate Bookstore. It’s just that it puts me two or three days (I hope!) farther away from beta testing. But of course the plugin will be much better for it. And stuff. Still… not a great feeling. Feature creep: I thought it was all behind me. And that’s a sort of creepy thought in itself.